The first WGC of the year and the second running at Chapultepec, a tree-lined course that will play nowhere near it’s official 7300-odd yards due to altitude. Whilst that fact may firstly indicate a level playing field with neither bombers or otherwise favoured, last year’s results say the opposite.It may be too early to say but we can either guess or use the figures in front of us and, for me, there is so far an overwhelming lean towards length off the tee plus last year’s top lot had come into the event with a top finish within their most recent three events. Although last year’s third, Ross Fisher, says he rarely used driver round here, he did rank 25th in distance off the tee just behind Tommy Fleetwood, whilst both eventual victor Dustin Johnson and fifth Justin Thomas, were in the top-5. Indeed, of the top-5 drivers (length) only Bubba Watson finished outside of the top-seven, whilst accuracy produced only Fleetwood inside the top-15. That isn’t to say a short-game is not required with all the top-5 in that category ranking top-16, whilst, as always, putting proved as vital as anything though surely as any dropped shot will cost more in a small select field. With a couple of long par-4s, uphill shorter holes, and reachable par-5s, the advantage to the longer hitter looks more obvious than initially thought, and the results at another similar course, again with poa anna greens, is huge. Dustin Johnson was imperious through 2017 and his win at Riviera and here indicated the link between courses whilst Justin Thomas, Jordan Spieth, Phil Mickelson and Adam Hadwin played well at both. Taking the majority of previous winners of this event into account it does seem as though the change of venue has had little impact on the conclusion – the winner will be a Major quality player with controlled length and ability on the type of green. As for the bets, with a 65-man field the top of the market will be shorter than usual and whilst the combined odds for the top four are around 6-4, that doesn’t look horrendous given their undoubted prowess and proven qualification this week. I rather thought Bubba Watson would be closer to 20-1 this week, so he is a must-play at anything 33-1+ this week. There aren’t many that don’t know his game by now although I doubt many can predict him. What we do know is that he won the recent Genesis Open far easier than by the official two shot margin,ranking highly in all stats, including putting. That he is now a three-time winner at Riviera indicates his love for the type of course and greens (ranks highly on poa anna performance with futureoffantasy.com) and I am happy to take him this week to be the second successive player to win there before following up this week. 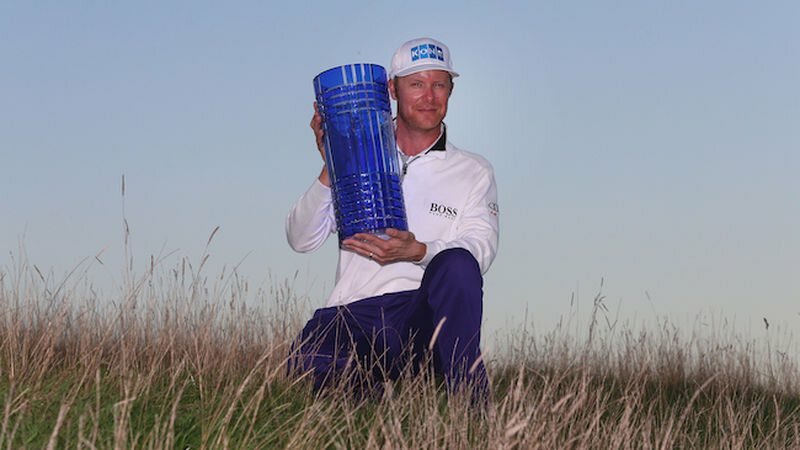 He may well be hard to read but his results indicate he keeps form after winning at his favourite course, having followed up his 2014 victory with a 9th in the matchplay and T2 at this event when known as the Cadillac, whilst he was also runner-up there after victory in 2016. Ignore his 38th round here in a poor 2017 and he is a confident pick away from the favourites. Tony Finau is tough to get over the line but has strong claims of pushing forward this week. Although he lacks a win in the best company he is a top10 dream with nine top-10s in 2017 and already a top-6 at the Farmers and T2 at the Genesis where he showed well in distance and greens. Indeed, ranking 6th in strokes gained tee-to-green and scoring average, he ranks 7th in the list of performers on poa anna and looks a likely type round here especially if that Riviera link is of use. Given the prominence of European Tour players, it seems churlish to leave them out of selections. Both Fleetwood and Rahm have obvious chances but are short enough, whilst the former did have a very hard weekend at the Honda just a few days ago. Instead take a chance with Matthew Fitzpatrick, still under-rated by many but who may well have ‘TF’ status in the near future. Although only 23 years old, it seems that we have followed Fitz for a considerable while now although his latent ability has been evident from that top-50 at the U.S Open in 2014. A winner of four events in top company on the home tour, he certainly isn’t shy on the big stage with a top-10 at Augusta as well as similar finishes in a brace of WGC- HSBC Champions events. having shot 63/69 over the weekend for a 3rd in Abu Dhabi, the missed-cut in favoured Dubai was a shock but is forgiven being his only blip in a run of ten top-20 finishes. Finishing 16th here last year is a nice warm-up for this week and I can’t quite work out why he is a longer price than the likes of Paul Casey and Tyrrell Hatton. Whilst Xander Schuffele‘s victory at the Tour Championship was a minor shock, it continued a rich vein of form through 2017. It is not as if he came from nowhere, having won the Greenbrier as well as placing at the U.S Open, CIMB and the Dunlop Pheonix. With enough in his game to finish top-20 in last season’s Open, clearly there are few conditions that do not suit this long driver and his case is boosted further with his latest effort at Riviera being T9. Whilst he hasn’t played here, there seems little reason why he won’t go well and on a run of T9/17 and favoured by the greens he is yet another of the younger generation that could leapfrog the more established names and is just preferred to Adam Hadwin, high on the list of probables. Finally I can’t resist putting in Jhonattan Vegas at a huge price. Whilst absolutely impossible to read until he plays the RBC Canadian where he has won back-to-back, he is capable of putting up surprise efforts in better company. Witness his opener of the season, T7 at the Champions in Hawaii, confirming top-20 finishes at the WGC HSBC and Bridgestone. Whilst his two most recent victories may look moderate at first glance,, they were decent enough fields including the likes of DJ, Finau, Snedeker and Woodland and he can get the job done if in with a chance. Last year’s moderate third round 72 cost him a better position than 15th but showed he can play here and whilst he is much more likely to nab a PGA in the style of Dufner or Bradley, it isn’t as if we need to take 40-1. Over in South Africa, the Tshwane Open makes it’s fourth consecutive appearance at Pretoria GC and with a list of winners reading Coetzee, Schwartzel and Burmester the visitors will need to do something special to overcome such a strong home advantage. At just over 7000yards thereare somne very scorable holes throughout, with holes 5-9 proving as easy as the final couple. Short par-4s dominate and will be the key to finding the winner, with eleven of the last two top six leaders in that category finishing in the top seven by the end of the event. Having taken 28-1 about George Coetzee last week, is 12-1 value this time? Second favourite Alexander Bjork is hugely promising, was 5th here last year and in a rich vein of form but has only won on the Challenge Tour; Julian Suri is bound to win at a higher level in the future but has a current run reading mc/68/mc/63 although in better company whilst Marcus Kinhault is another for the future but has never put his head in front at top level. Unfortunately therefore, the fav looks entirely obvious but has to be included. A local lad who knows the area and course like no other in the field. Winner here in 2015, the first year it became a full four-round event, he followed it up with a 14th before missing the cut here last year opening with 68 before a bizarre 76. However, current form is decent if looked at in perspective to the field with a closing 13th in the Dimension Data (67/66/66 followed a first round 78) before plodding round the weekend in Qatar to finish 8th. There is always a risk factor with him as to whether he can be persuaded to put it all in but with so much in his favour and the likes of Erik Van Rooyen and Benjamin Hebert showing little last time, he simply must be there at the weekend. Peter Karmis went into last year’s final round in 6th place before a blank front-nine cost him dear and he dropped to 9th. That continued a good set of form figures around Pretoria, with a couple of top-10s and a number of rounds in the mid-60s, whilst his current form is pushing in the right direction reading 2/T18/T8, the latest runner-up when just losing out to Rhys Enoch last weekend after going into Sunday with a lead. With so many of these finding it hard to win, I’d rather be with a player with a run of figures that suggests he could find his top form again. He again had a market rival in Jaco Ahlers but just got the nod. The aforementioned Van Rooyen was highlighted last week a s a bet for the future, and was ready to upset when he stormed through the first two rounds in Qatar. Whilst his weekend was less than impressive it does show the talent of this improving player. The issue is his current inconsistency, highlighted with that m/c here last year. Keep an eye on him, but for an improving youngster this week, look to Romain Langasque who just gets the vote over Aaron Rai. The 22-year-old Frenchman may have only been professional for a couple of seasons but has made an impact in the ‘future winner’ lists of many. Winner of the 2015 Amateur at Carnoustie, an invite into that year’s Open resulted in a 65th place finish, whilst a further entry into The Masters resulted in a superb 39th, being one of only two amateurs to make the cut. Turning professional almost immediately, the big hitter finished ninth in the 2016 Challenge Tour rankings with seven top-10s and three further top-20 finishes. It has taken a while for the penny to drop in first class company despite hinting at his ability last year, although he book-ended a host of missed-cuts with top-20s at Joburg and here, and a 3rd in Mauritius. However, he has been tweeting extremely encouraging things about his new clubs ad also about playing in South Africa, no surprise given his previous results at this time of year. He was very eye-catching in last week’s 13th in Cape Town and returns to Pretoria on the back of last season’s 18th, which included a poor second round 74 but a weekend 68/67. Extremely aggressive in a Burmester-type fashion, I expect good things of a player that, in a short while, will not be this sort of price in this class. The last selection is a huge flyer. It is hard to think of a star name that has gone downhill so quickly as Danny Willett but having drifted from top-20 in the world (was 19th before the Major), he now ranks 193rd after a season of just one top-10, over a year ago in the Maybank, an event he should really have won but for a final round 73. To be fair, it isn’t as if his recent form is encouraging either, with three consecutive missed-cuts. However, we know that the odd player simply falls for unknown reasons and whilst Willett says he almost fell out of love with the game, he is very happy to be working on a new swing and seems a lot happier than in the recent past. Form in this part of the world is excellent, with victory at the Nedbank a highliught of the past few years, alongside four top-10s and a couple of top-16 finishes. It may be too early but a tweet claiming ‘new swing starting to bed in’ is encouraging as is the ‘nappy factor’ (worked for him last time!) and I just felt that in this grade anything like a return to form would make 100-1 look silly.